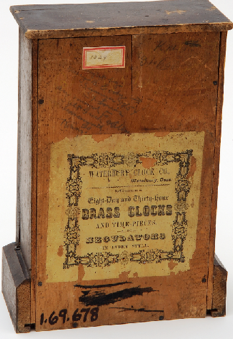 One of the oldest objects in the Buffalo Bill Museum collection is a Waterbury mantle clock that belonged to Buffalo Bill Cody’s mother Mary. Jeremy Johnston, the curator of the museum, said it indicates a shift in the family’s fortunes. The family lived in Iowa where they were pretty typical homesteaders. “They were shifting from farm to farm improving their lot in life, things were pretty structured and well-organized,” said Johnston. They were able to improve their standard of life and buy things like a nice mantle clock for their home. His dad died a couple of months later. It is disputed whether he died from the wounds caused by the stabbing or from a disease. The death of Buffalo Bill’s father led to the family’s fortune declining at the time, and Johnston said this was the time when the Wild West really began for the family. 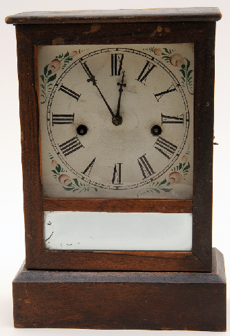 The mantle clock survived and symbolized their earlier and simpler life. Museum Minute is a series co-produced with Wyoming Public Media (WPM). A new minute can be heard every Thursday morning at 6:49 a.m. on WPM.